Scottish rural management and property consultancy Galbraith says too many investors are missing out on healthy returns from forestry. Philippa Cliff, head of forestry, Galbraith, said: “Commercial forestry has been the top performing asset in the UK in the past 15 years, with the best woodlands generating returns in excess of 10% a year. “Despite this impressive performance, there are actually very few investors active in the market. “Woodland seems to be considered as an investment option only by a few people in the know. 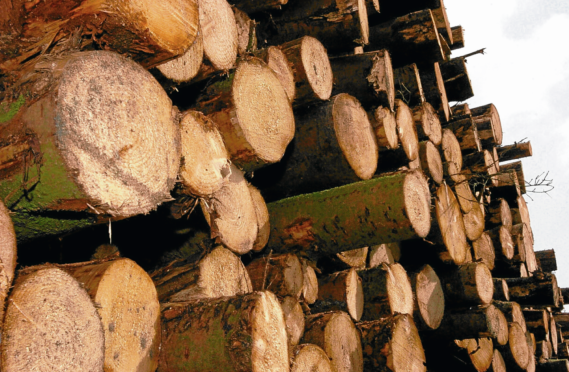 “Timber is currently the fourth biggest UK import, but a weaker pound has pushed up import costs, fuelling an immediate rise in timber prices and increased demand for home-grown timber.